One of the youngest internet sensation! She later became famous for falsely accusing her mother! It was also reported that Danielle once stole her mother’s purse, her car and falsely told the police that her mum had been using heroin. The phrase ‘Cash Me Ousside, How Bout Dat’ made her a brand! Danielle was caught with a number of charges, some of which she confessed of filing a false police report, grand theft, grand theft auto and possession of marijuana. 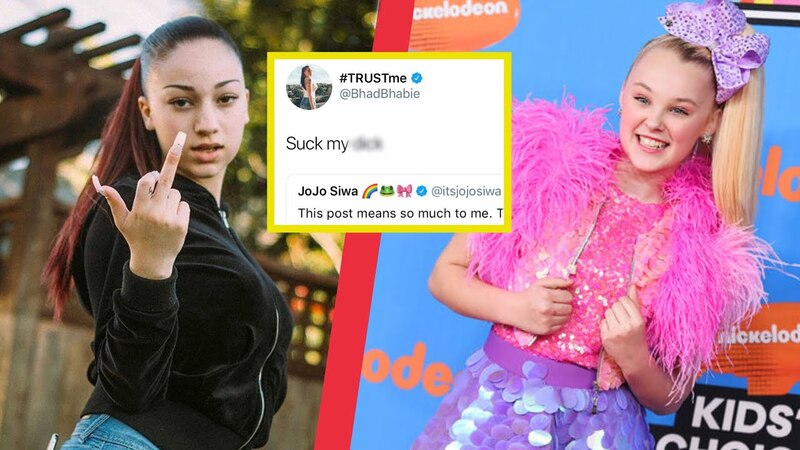 She even got into a nasty Twitter fight with a fellow entertainer Jojo Siwa! Both the teenagers had a nasty fight on Twitter! Danielle thrashes Jojo on Twitter! Now Danielle gets her own reality show! Apart from creating new controversies, Danielle is actually pretty famous in the music industry for her blossoming rap career. She has around 500,000 followers on Twitter and millions on other platforms. Now that she has everything to become a celebrity, she now gets her own reality show! Her new reality show on Snapchat! The young celebrity signed a 12-episode documentary series on the popular social media platform Snapchat, the name of the series will be “Bringing Up Bhabie” which will also be a part of the “Snapchat Originals,” programs! ← You Won’t Believe What Pete Said To Ariana After The Sad Breakup! ?